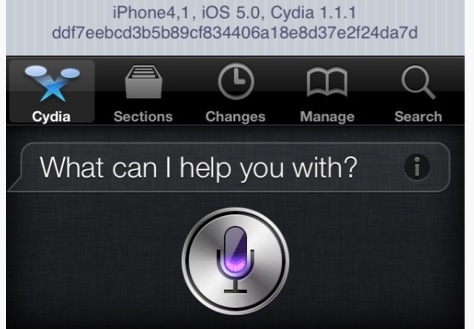 An official jailbreak for iPhone 4S and iPad 2 running iOS 5 is coming sooner than later, as evidenced by iPhone Dev Team member MuscleNerd posting several screenshots of the works in progress. In fact, they jailbreak has already been achieved, but there are unspecified “hurdles left” before the jailbreak will see a public release. There are currently no time estimates, but typically these teaser screenshots and videos start to appear soon before a first beta jailbreak becomes available. The iPhone 4S and iPad 2 have been noticeably absent from the current iOS 5 jailbreak, both devices share much of the same internal hardware including the A5 CPU, and has posed a challenge to jail break. It’s unclear whether this will be a tethered or untethered jailbreak. Coming from the Dev Team, the jailbreak will probably be a released as a new version of redsn0w. We’ll keep you posted on any news or updates, be sure to follow our jailbreak coverage for more. The only reason I have an interest in jailbreaking anymore is so that I can customize my Notifications Center to have RSS feeds. There’s really no other benefit, iOS 5 already has the other features we used to want that required the JB. I bet iOS 5.1 gets an RSS reader too! This coming soon’ bullt is played OUT. If it’s such a “damned” worthless device without a jailbreak, why don’t you go buy a far superior droid tablet. Oh…yeah… never mind. If you have a jailbroken ipad and a program called ifile, you can use the camera connection kit to connect thumb drives. The thumb drive shows up in the ifile app and can be accessed just like on a computer (files can be copied into whatever folder or app you want).